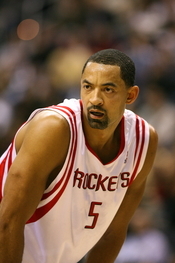 Below is an observation of negotiations in the National Basketball League, concerning the Washington Bullets' star player Juwan Howard, the Washington Bullets' General Manager, and the Miami Heat's General Manager in a "bidding war" for Juwan Howard's employment with the NBA (Brubaker, Asher, Solomon, and Adande, n.d.). The observation includes a brief summary and analysis of the negotiations between Howard and the bidding teams. The analysis also includes an evaluation of the tangible and intangible benefits, costs, and risks associated with negotiations with Howard as a free agent, given the perspective of all parties involved. million), with an option to become a free agent after the second year of the deal. According to Howard, the deal represented an amount that was less than his value. He signed the contract reluctantly. After two seasons, his play on the court forced the NBA to take notice of Howard as a viable commodity in the league. In addition to his play on the court, Howard was active in the Washington D.C. community, and he existed as a fan favorite. In the summer of 1996, Howard experienced his first case of players recruiting him from other teams. This made Howard feel good about his play and his standing as an NBA talent. WriteWork contributors. "Case Study Analysis Part A ("A Power Play for Howard")" WriteWork.com. WriteWork.com, 07 July, 2009. Web. 18 Apr. 2019.